Having a fireplace at your home is a great thing. It is a direct source of heat, it is natural, it is nice and cozy and it adds so much to the whole atmosphere of the house. The fireplace is usually attached to a chimney in order for the smoke and soot to exit the house safely, rather than having it slowly accumulating inside your house. Now, if it's actually in use and not only there for decoration, it is extremely important to keep it clean in order to ensure your house also remains clean and that the air you and your family inhale is safe to breathe. During the service, the soot is removed to prevent build-ups that might lead to complete blocks of the free pathway out of the house. If the chimney gets filled with too much soot in it, it will become harder and harder for the smoke to freely get out from the house, slowly contaminating it and significantly reducing the air quality in it. Cleaning the fireplace and the chimney means the air quality will be restored and preserved, keeping your house healthier and safer for both you and your family. When Should You Call for Our Services? If you have a fireplace at your house and you usually use it, then you should use our cleaning service on a regular basis. In any case, when the cold season is over and you're sure you won't fire it up again until the next time it’s chilly, let our team take a look and make sure your fireplace is good to go! Our technicians are professional and experienced with any type of fireplace or chimney in any condition. They have the equipment to handle such situations and always leave our clients 100% satisfied with our service. 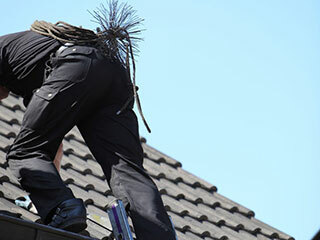 In addition, our company offers both residential and commercial services. So, feel free to contact us at Duct & Attic Cleaning Experts, Huston, with any question regarding our services and we will be happy to assist!